Do you know a kid who wants to know all about the weather? How does the wind blow, why does it rain, and where do hurricanes come from? Happy day - that's a kid with a natural interest in meteorology! Feed their curiosity with weather books for kids and children's books about meteorology. And this page is a nice place to start. Children who express a natural interest in weather phenomena are revealing to you their fascination with science, whether they know it or not. Just maybe you have a budding meteorologist on your hands. That bright child could end up making a good living off of the severe atmospheric conditions that the rest of us just endure! Browse on to find books about weather for kids, conveniently sorted by approximate reading levels or age groups. 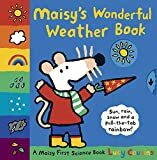 You'll find: Weather books for Little Ones, Early Readers, and Kids Over Eight. For kids interested in meteorology, and home schooling parents, there are also links to a few other pages that might prove interesting. First, we'll look at a selection of books for your youngest ones. Of course, we all know that one of the greatest gifts a parent can give a child is the gift of the thirst for knowledge. Reading to your child every day from the very beginning is an important part of parenting. Capitalize on their fascination with what is going on outside by reading books about weather for toddlers and babies. These are the perfect stories for toddlers and preschoolers. Is it something they can relate to and enjoy? Sure it is! They see some kind of weather every day. It's something familiar, yet still mysterious, something they'll be curious about, and love 'reading' about. The little girl in this singing video is just adorable! It's something you might enjoy sharing with your little one or ones. I think kids will really enjoy seeing her sing along and do all the cute gestures for weather. You can help even a very young child gain some basic knowledge of meteorology with books about the seasons. At first, perhaps he or she will be attracted to the pretty pictures or bright colors. But, as a child grows, so will their appreciation of what the book is all about. 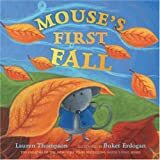 In Fall and Winter, lots of things happen that are interesting for children. Some of them are even a lot of fun. If you live where it gets cold enough, you can play in the snow during the winter. It's fun to watch the leaves turn colors during the autumn. Spring and summer are favorite times for many children. In spring, the flowers are blooming and the butterflies are flitting. It's a beautiful thing! When summer comes, there's more time to play outside. Splashing in the water or going swimming is a great way to cool off. Is Mom or Dad weather forecaster? Or is one of them employed in a field that's heavily weather dependent? Start baby out early following in their footsteps with weather themed baby gifts. Over at on demand printer Zazzle, you'll find some cute things for tiny weather watchers. They are designed by individual artists, and professionally printed by Zazzle. You'll find tons of choices there in pacifiers, onesies, bibs, burp cloths, and tees. You can tell why in the comments section. I love warm weather. Spring and Summer are my favorites. What makes a rainbow? Where does the wind come from? Why does it thunder? If wind or heavy rains make your child uneasy, or if thunder frightens them, read about it! The surest way to help lessen bad feelings about certain kinds of weather is by learning more about it! The mysterious can be awfully scary. But when it's a little less mysterious, it can become a little less scary. And, what child wouldn't love to learn new words about the weather? Those are fun! Then, there are lots of stories - fiction in which the weather plays a part. Need something for the kids to do on a rainy day? How about one of these printable activity sheets? Some of them may even be useful for home school lessons, too. Printable weather worksheets for kids, including matching, vocabulary, drawing, word search and many more. Here's a fun activity to review weather words. Your students will enjoy adding or subtracting from each letter to spell different words. They will also unscramble the circled letters to spell weather you hear but cannot see. As children get older, they are ready for more sophisticated learning... and meteorology presents some fascinating learning opportunities! Current events often present young students with a host of new things to wonder about. For example,when Hurricane Katrina was in the news, some children had a lot of questions around hurricanes. The impact that weather can have on our lives is something this age group ls ready to relate to in a very real way. Many kids of this age are beginning to develop interests that can last a lifetime. Such interests often provide a perfect avenue for exploring possible career choices. One could do worse than choosing a career in meteorology. We are all familiar with the weather person on television. But there are many other possibilities in the field of weather science, too. For those kids who prefer fiction, there are some great stories based on real events. I had a keen interest in weather at an early age. I wish someone had known enough to point me towards a career in meteorology, and what I would have needed to do to prepare for it. If you know a child who is fascinated by the clouds, storms or other things that happen in the atmosphere, please encourage them in any way you can! In the last decade or so, my interest in the subject has become rekindled. I've really enjoyed pursuing learning about this fascinating subject just for the sheer joy of learning. The science of weather truly is fascinating! Ordinary folks rush to protect themselves from an approaching hurricane. Sometimes, they even leave their homes to run to safety from them. Not Hurricane Hunters. These brave meteorologists climb aboard an airplane and fly right into the middle, or eye, of these violent storms. That's quite a career choice, wouldn't you say? 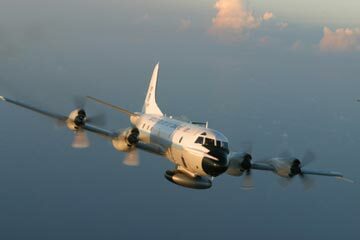 Find out more about this fascinating topic at Hurricane Hunters - Heroes Fly into the Eye of the Storm. the median salary of a meteorologist is just over $94,000. Here are several more pages that are broadly related to meteorology and children. You may find one or two of them of interest! Strange Weather Phenomena and Unusual Natural Occurances Learn about Haloes. Sun Dogs, Sun Ghost, Belt of Venus,Noctilucent Clouds,Aurora Borealis, Mammatus Clouds, Red Rain, Moon Bows, Colored Moons, St Elmo's Fire, Fire Winds, and more. Weather lore as shown in sayings about animals and the weather. A look at half a dozen sayings about bees, cats, ladybugs, gulls, and more. Are these 'wives tales' supported by fact? These hot humid conditions over tropical oceans are the fundamental ingredients for tropical cyclones to form. A tropical cyclone is a storm system characterized by a low pressure centre and thunderstorms that produce strong winds and flooding rain. CruiseReady, Children approach compasses with great fascination and can have that same reaction to weather vanes and their musical companions, wind chimes. Support for an early interest in meteorology helps parents with two important childhood lessons: concern for safety and interpretation of events. Did anyone in your family go into meteorology? Happynutritionist - I'm not sure why it is, but I loved weather as a child, but lost intrest as a young adult. Now, the older I get, the more fascinating it becomes. @WriterArtist - I agree completely. The first responders and meteorologists are vital to public safety. Weather is so fascinating...it can be beautiful, peaceful, and powerful, it can be life giving, and in some cases ends lives. It is out of our control, so weather people do their best to keep us aware of what is happening next. Nice selection of books for children. I think the Weather people do a fantastic job of saving many lives especially in rescue operations. 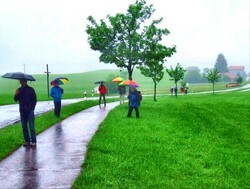 I am fond of watching TV shows and photos of Natural phenomenon like hurricane, hail-storm and snowfall. It sure is! They actually need the good, solid intellectual input that books provide, no matter how adept they are with electronics. An iPhone app may be a nice stimulus, but it's no substitute for actual in depth learning. Kids can be so curious about the natural world. When they ask questions, it's a great time to expose them to some good books. I hope so! 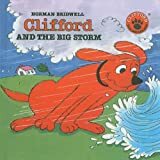 There are some great career choices in the field of meteorology, and I can't help but think that reading about it early on might encourage young people to pursue it. There should be something there to answer inquiring questions.